Here are some tips to get you started. We’re looking forward to using these tips ourselves! Remember, little things like clogged drains, buildup of leaves in gutters, and worn down parts in the roof can snowball into big problems down the road, and likely an insurance claim. 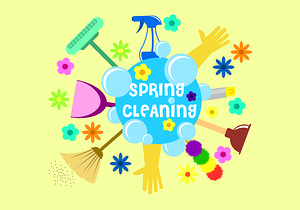 We hope these tips help get you in spring cleaning mode and ready for Easter!